"Accountancy" redirects here. For the functional constituency in Hong Kong, see Accountancy (constituency). "Language of business" redirects here. For the TV program, see Language of Business (TV program). Accounting can be divided into several fields including financial accounting, management accounting, external auditing, and tax accounting.Accounting information systems are designed to support accounting functions and related activities. Financial accounting focuses on the reporting of an organization's financial information, including the preparation of financial statements, to external users of the information, such as investors, regulators and suppliers; and management accounting focuses on the measurement, analysis and reporting of information for internal use by management. The recording of financial transactions, so that summaries of the financials may be presented in financial reports, is known as bookkeeping, of which double-entry bookkeeping is the most common system. Accounting is facilitated by accounting organizations such as standard-setters, accounting firms and professional bodies. Financial statements are usually audited by accounting firms, and are prepared in accordance with generally accepted accounting principles (GAAP). GAAP is set by various standard-setting organizations such as the Financial Accounting Standards Board (FASB) in the United States and the Financial Reporting Council in the United Kingdom. As of 2012, "all major economies" have plans to converge towards or adopt the International Financial Reporting Standards (IFRS). Portrait of Luca Pacioli, painted by Jacopo de' Barbari, 1495, (Museo di Capodimonte). The history of accounting is thousands of years old and can be traced to ancient civilizations. The early development of accounting dates back to ancient Mesopotamia, and is closely related to developments in writing, counting and money; there is also evidence for early forms of bookkeeping in ancient Iran, and early auditing systems by the ancient Egyptians and Babylonians. By the time of the Emperor Augustus, the Roman government had access to detailed financial information. Double-entry bookkeeping developed in medieval Europe, and accounting split into financial accounting and management accounting with the development of joint-stock companies. 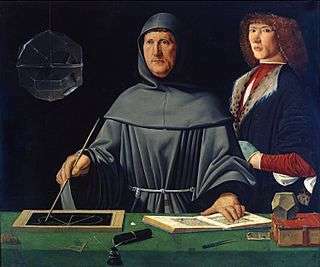 The last work on a double-entry bookkeeping system was published in Italy, by Luca Pacioli. Accounting began to transition into an organized profession in the nineteenth century, with local professional bodies in England merging to form the Institute of Chartered Accountants in England and Wales in 1880. Both the words accounting and accountancy were in use in Great Britain by the mid-1800s, and are derived from the words accompting and accountantship used in the 18th century. In Middle English (used roughly between the 12th and the late 15th century) the verb "to account" had the form accounten, which was derived from the Old French word aconter, which is in turn related to the Vulgar Latin word computare, meaning "to reckon". The base of computare is putare, which "variously meant to prune, to purify, to correct an account, hence, to count or calculate, as well as to think." The word "accountant" is derived from the French word compter, which is also derived from the Italian and Latin word computare. The word was formerly written in English as "accomptant", but in process of time the word, which was always pronounced by dropping the "p", became gradually changed both in pronunciation and in orthography to its present form. Accounting has variously been defined as the keeping or preparation of the financial records of an entity, the analysis, verification and reporting of such records and "the principles and procedures of accounting"; it also refers to the job of being an accountant. Accountancy refers to the occupation or profession of an accountant, particularly in British English. Accounting has several subfields or subject areas, including financial accounting, management accounting, auditing, taxation and accounting information systems. Financial accounting focuses on the reporting of an organization's financial information to external users of the information, such as investors, regulators and suppliers. It calculates and records business transactions and prepares financial statements for the external users in accordance with generally accepted accounting principles (GAAP). GAAP, in turn, arises from the wide agreement between accounting theory and practice, and change over time to meet the needs of decision-makers. Financial accounting produces past-oriented reports—for example the financial statements prepared in 2006 reports on performance in 2005—on an annual or quarterly basis, generally about the organization as a whole. This branch of accounting is also studied as part of the board exams for qualifying as an actuary. It is interesting to note that these two professionals, accountants and actuaries, have created a culture of being archrivals. Management accounting focuses on the measurement, analysis and reporting of information that can help managers in making decisions to fulfil the goals of an organization. In management accounting, internal measures and reports are based on cost-benefit analysis, and are not required to follow the generally accepted accounting principle (GAAP). In 2014 CIMA created the Global Management Accounting Principles (GMAPs). The result of research from across 20 countries in five continents, the principles aim to guide best practice in the discipline. Management accounting produces future-oriented reports—for example the budget for 2006 is prepared in 2005—and the time span of reports varies widely. Such reports may include both financial and non financial information, and may, for example, focus on specific products and departments. Auditing is the verification of assertions made by others regarding a payoff, and in the context of accounting it is the "unbiased examination and evaluation of the financial statements of an organization". An audit of financial statements aims to express or disclaim an opinion on the financial statements. The auditor expresses an opinion on the fairness with which the financial statements presents the financial position, results of operations, and cash flows of an entity, in accordance with the generally acceptable accounting principle (GAAP) and "in all material respects". An auditor is also required to identify circumstances in which the generally acceptable accounting principles. (GAAP) has not been consistently observed. An accounting information system is a part of an organisation's information system that focuses on processing accounting data. Tax accounting in the United States concentrates on the preparation, analysis and presentation of tax payments and tax returns. The U.S. tax system requires the use of specialised accounting principles for tax purposes which can differ from the generally accepted accounting principles (GAAP) for financial reporting. U.S. tax law covers four basic forms of business ownership: sole proprietorship, partnership, corporation, and limited liability company. Corporate and personal income are taxed at different rates, both varying according to income levels and including varying marginal rates (taxed on each additional dollar of income) and average rates (set as a percentage of overall income). Professional accounting bodies include the American Institute of Certified Public Accountants (AICPA) and the other 179 members of the International Federation of Accountants (IFAC), including CPA Australia, Association of Chatered certificated accountants (ACCA) and Institute of Chartered Accountants in England and Wales (ICAEW). Professional bodies for subfields of the accounting professions also exist, for example the Chartered Institute of Management Accountants (CIMA). Many of these professional bodies offer education and training including qualification and administration for various accounting designations, such as certified public accountant and chartered accountant. Accounting firms grew in the United States and Europe in the late nineteenth and early twentieth century, and through several mergers there were large international accounting firms by the mid-twentieth century. Further large mergers in the late twentieth century led to the dominance by the auditing market by the Big Four accounting firms: Arthur Andersen, Deloitte, Ernst & Young, KPMG and PricewaterhouseCoopers. The demise of Arthur Andersen following the Enron scandal reduced the Big Five to the Big Four. Organizations in individual countries may issue accounting standards unique to the countries. For example, in the United States the Financial Accounting Standards Board (FASB) issues the Statements of Financial Accounting Standards, which form the basis of US GAAP, and in the United Kingdom the Financial Reporting Council (FRC) sets accounting standards. However, as of 2012 "all major economies" have plans to converge towards or adopt the IFRS. At least a bachelor's degree in accounting or a related field is required for most accountant and auditor job positions, and some employers prefer applicants with a master's degree. A degree in accounting may also be required for, or may be used to fulfill the requirements for, membership to professional accounting bodies. For example, the education during an accounting degree can be used to fulfill the American Institute of CPA's (AICPA) 150 semester hour requirement, and associate membership with the Certified Public Accountants Association of the UK is available after gaining a degree in finance or accounting. A doctorate is required in order to pursue a career in accounting academia, for example to work as a university professor in accounting. The Doctor of Philosophy (PhD) and the Doctor of Business Administration (DBA) are the most popular degrees. The PhD is the most common degree for those wishing to pursue a career in academia, while DBA programs generally focus on equipping business executives for business or public careers requiring research skills and qualifications. Professional accounting qualifications include the Chartered Accountant designations and other qualifications including certificates and diplomas. In the United Kingdom, chartered accountants of the ICAEW undergo annual training, and are bound by the ICAEW's code of ethics and subject to its disciplinary procedures. In the United States, the requirements for joining the AICPA as a Certified Public Accountant are set by the Board of Accountancy of each state, and members agree to abide by the AICPA's Code of Professional Conduct and Bylaws. In India the Apex Accounting body constituted by parliament of India is "Institute of Chartered Accountants of India" (ICAI) was known for its rigorous training and study methodology for granting the Qualification. Accounting research is research in the effects of economic events on the process of accounting, and the effects of reported information on economic events. It encompasses a broad range of research areas including financial accounting, management accounting, auditing and taxation. Accounting research is carried out both by academic researchers and practicing accountants. Methodologies in academic accounting research can be classified into archival research, which examines "objective data collected from repositories"; experimental research, which examines data "the researcher gathered by administering treatments to subjects"; and analytical research, which is "based on the act of formally modeling theories or substantiating ideas in mathematical terms". This classification is not exhaustive; other possible methodologies include the use of case studies, computer simulations and field research. Many accounting practices have been simplified with the help of accounting computer-based software. An Enterprise resource planning (ERP) system is commonly used for a large organisation and it provides a comprehensive, centralized, integrated source of information that companies can use to manage all major business processes, from purchasing to manufacturing to human resources. Accounting information systems have reduced the cost of accumulating, storing, and reporting managerial accounting information and have made it possible to produce a more detailed account of all data that is entered into any given system. The year 2001 witnessed a series of financial information frauds involving Enron, auditing firm Arthur Andersen, the telecommunications company WorldCom, Qwest and Sunbeam, among other well-known corporations. These problems highlighted the need to review the effectiveness of accounting standards, auditing regulations and corporate governance principles. In some cases, management manipulated the figures shown in financial reports to indicate a better economic performance. In others, tax and regulatory incentives encouraged over-leveraging of companies and decisions to bear extraordinary and unjustified risk. The Enron scandal deeply influenced the development of new regulations to improve the reliability of financial reporting, and increased public awareness about the importance of having accounting standards that show the financial reality of companies and the objectivity and independence of auditing firms. In addition to being the largest bankruptcy reorganization in American history, the Enron scandal undoubtedly is the biggest audit failure. It involved a financial scandal of Enron Corporation and their auditors Arthur Andersen, which was revealed in late 2001. The scandal caused the dissolution of Arthur Andersen, which at the time was one of the five largest accounting firms in the world. After a series of revelations involving irregular accounting procedures conducted throughout the 1990s, Enron filed for Chapter 11 bankruptcy protection in December 2001. One consequence of these events was the passage of Sarbanes–Oxley Act in the United States 2002, as a result of the first admissions of fraudulent behavior made by Enron. The act significantly raises criminal penalties for securities fraud, for destroying, altering or fabricating records in federal investigations or any scheme or attempt to defraud shareholders. 1 2 3 4 5 6 Needles, Belverd E.; Powers, Marian (2013). Principles of Financial Accounting. Financial Accounting Series (12 ed.). Cengage Learning. ↑ Accounting Research Bulletins No. 7 Reports of Committee on Terminology (Report). Committee on Accounting Procedure, American Institute of Accountants. November 1940. Retrieved 31 December 2013. ↑ DIWAN, Jaswith. ACCOUNTING CONCEPTS & THEORIES. LONDON: MORRE. pp. 001–002. id# 94452. ↑ "Department of Accounting". Foster School of Business. Foster School of Business. 2013. Retrieved 31 December 2013. 1 2 Weber, Richard P., and W. C. Stevenson. 1981. “Evaluations of Accounting Journal and Department Quality.” The Accounting Review 56 (3): 596–612. ↑ Lung, Henry (2009). Fundamentals of Financial Accounting. Elsevier. 1 2 "Auditors: Market concentration and their role, CHAPTER 1: Introduction". UK Parliament. House of Lords. 2011. Retrieved 1 January 2014. 1 2 IFRS Foundation, 2012. The move towards global standards. Retrieved on April 27, 2012. 1 2 Robson, Keith. 1992. “Accounting Numbers as ‘inscription’: Action at a Distance and the Development of Accounting.” Accounting, Organizations and Society 17 (7): 685–708. ↑ کشاورزی, کیخسرو (1980). تاریخ ایران از زمان باستان تا امروز (Translated from Russian by Grantovsky, E.A.) (in Persian). pp. 39–40. ↑ Heeffer, Albrecht (November 2009). "On the curious historical coincidence of algebra and double-entry bookkeeping" (PDF). Foundations of the Formal Sciences. Ghent University. p. 11. ↑ Perks, R. W. (1993). Accounting and Society. London: Chapman & Hall. p. 16. ISBN 0-412-47330-5. ↑ Labardin, Pierre, and Marc Nikitin. 2009. “Accounting and the Words to Tell It: An Historical Perspective.” Accounting, Business & Financial History 19 (2): 149–166. 1 2 Baladouni, Vahé. 1984. “Etymological Observations on Some Accounting Terms.” The Accounting Historians Journal 11 (2): 101–109. 1 2 "accounting noun - definition in the Business English Dictionary". Cambridge Dictionaries Online. Cambridge University Press. 2013. Retrieved 30 December 2013. 1 2 "accounting noun - definition in the British English Dictionary & Thesaurus". Cambridge Dictionaries Online. Cambridge University Press. 2013. Retrieved 30 December 2013. ↑ "accounting". Merriam-Webster. Merriam-Webster, Incorporated. 2013. Retrieved 30 December 2013. ↑ "accountancy". Merriam-Webster. Merriam-Webster, Incorporated. 2013. Retrieved 30 December 2013. ↑ "accountancy noun - definition in the Business English Dictionary". Cambridge Dictionaries Online. Cambridge University Press. 2013. Retrieved 30 December 2013. ↑ "accountancy noun - definition in the British English Dictionary & Thesaurus". Cambridge Dictionaries Online. Cambridge University Press. 2013. Retrieved 30 December 2013. ↑ King, I. "New set of accounting principles can help drive sustainable success". ft.com. Retrieved 28 January 2015. ↑ Baiman, Stanley. 1979. “Discussion of Auditing: Incentives and Truthful Reporting.” Journal of Accounting Research 17: 25–29. ↑ "Audit Definition". Investopedia. Investopedia US. 2013. Retrieved 30 December 2013. ↑ "Responsibilities and Functions of the Independent Auditor" (PDF). AICPA. AICPA. November 1972. Retrieved 30 December 2013. ↑ "1.2 Accounting information systems". Introduction to the context of accounting. OpenLearn. Retrieved 3 February 2014. ↑ "IFAC Members". ifac.org. Retrieved 25 March 2016. ↑ "Accounting Bodies Network". The Prince's Accounting for Sustainability Project. Retrieved 3 January 2014. ↑ "Getting Started". AICPA. AICPA. 2014. Retrieved 3 January 2014. ↑ "The ACA Qualification". ICAEW. ICAEW. 2014. Retrieved 3 January 2014. ↑ "Auditors: Market concentration and their role, CHAPTER 2: Concentration in the audit market". UK Parliament. House of Lords. 2011. Retrieved 1 January 2014. ↑ "Definition of big four". Financial Times Lexicon. The Financial Times Ltd. 2014. Retrieved 1 January 2014. ↑ "IESBA | Ethics | Accounting | IFAC". ifac.org. Retrieved 25 March 2016. ↑ "IAESB | International Accounting Education Standards Board | IFAC". ifac.org. Retrieved 25 March 2016. ↑ "IPSASB | International Public Sector Accounting Standards Board | IFAC". ifac.org. Retrieved 25 March 2016. ↑ "How to Become an Accountant or Auditor". U.S. Bureau of Labor Statistics. United States Department of Labor. 2012. Retrieved 31 December 2013. ↑ "150 Hour Requirement for Obtaining CPA Certification". AICPA. AICPA. 2013. Retrieved 31 December 2013. ↑ "Criteria for entry". CPA UK. CPA UK. 2013. Archived from the original on 19 August 2013. Retrieved 31 December 2013. 1 2 "Want a Career in Education? Here's What You Need to Know". AICPA. AICPA. 2013. Retrieved 31 December 2013. ↑ "PhD Prep Track". BYU Accounting. BYU Accounting. 2013. Retrieved 31 December 2013. ↑ "Accountancy Qualifications at a Glance". ACCA. 2014. Retrieved 4 January 2014. ↑ "ACA – The qualification of ICAEW Chartered Accountants". ICAEW. 2014. Archived from the original on 11 October 2013. Retrieved 4 January 2014. ↑ "FAQs - Become a CPA". AICPA. 2014. Retrieved 4 January 2014. ↑ Oler, Derek K., Mitchell J. Oler, and Christopher J. Skousen. 2010. “Characterizing Accounting Research.” Accounting Horizons 24 (4): 635–670. ↑ Coyne, Joshua G., Scott L. Summers, Brady Williams, and David a. Wood. 2010. “Accounting Program Research Rankings by Topical Area and Methodology.” Issues in Accounting Education 25 (4) (November): 631–654. ↑ "Enron files for bankruptcy". BBC News. 2001-12-03. Retrieved 15 March 2008.